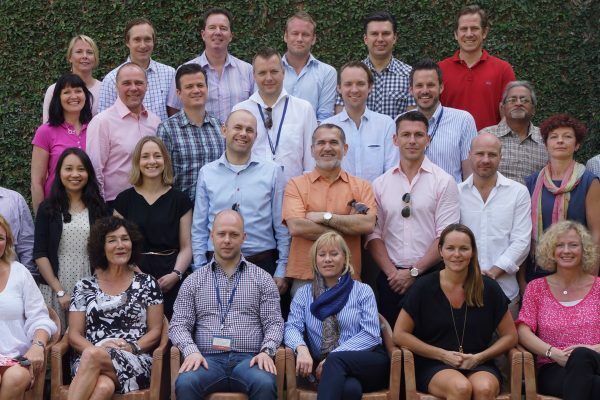 As I write, we are about to wrap up the Executive MBA module in India before returning back to Sweden tomorrow. This module has truly been a journey – in many respects – and I dare say to most of us, if not all of us. 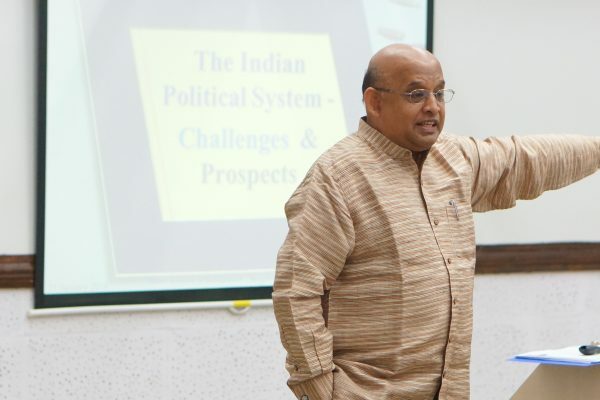 We have travelled across the world and learned so many things, not only about the society in India, about doing business in India and about leadership, but we have also gained deeper understanding about the journey that we each and every one are pursuing in our Life’s Journey. We arrived in India, many of us for the first time, with various expectations about life in large cities and societies going through rapid growth. We have learned that it is extremely important to try to look beyond what you see from the exterior. What appears to be chaos at a first glance might be something different. This is perhaps the most important of all lessons learned here, that you should be careful about judging and evaluating too quickly what you see. Like the traffic here in India for example, somebody said that the traffic in India reflects its society. It is extremely inclusive and allows everybody to be part of it. 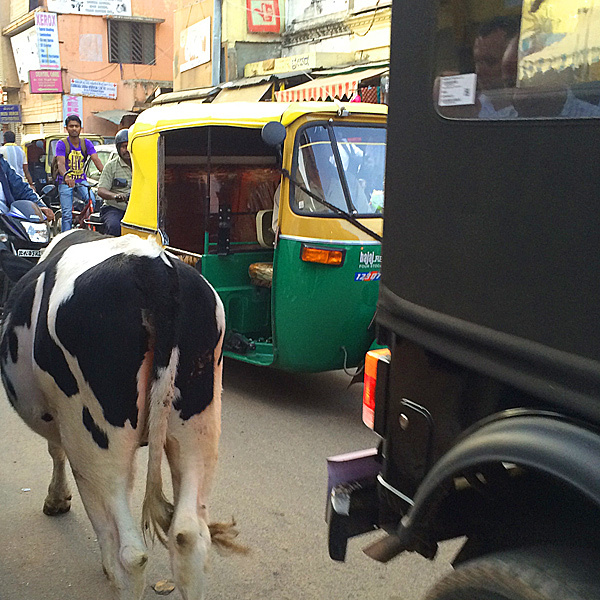 All types of vehicles as well as cows are allowed in the traffic. And what appears to be chaotic is actually collaboration in an inclusive environment. The guiding principle in the traffic is that you are responsible for what happens in front of you. Reflecting on the Swedish traffic, I realize that it is hardly inclusive or collaborative, more exclusive and individual. Taking me to the question of whether the traffic in Sweden reflects our society? All types of vehicles as well as cows are allowed in the traffic. As we go for a remarkably impressive and informative tour guided by Mr. Arun Pai through Bangalore, we learned so many things about how India’s and Europe’s history were blended together in many different ways. And how fate contributed to determine big events later on, such as how the timing of the French Revolution most likely had an impact on the French army losing the battle in Bangalore, giving the British Army a fairly easy victory and thus determining the location for the British Army to be Bangalore, hence its presence which has left so many footprints. And also, the little group of British soldiers unfortunately lost in a battle, leaving only one young soldier alive behind, Winston Churchill. As the British left India in the end of the colonial period, we get another example of the peaceful nature of India’s society: the colonial period came to an end in a very peaceful manner and Great Britain and India still today have a friendly relationship. This is a repeating story in this module; what we meet is a friendly, peaceful, non-violent and inclusive society. Differences are allowed. Diversity in its full bloom, allowing 1,2 billion people, living in 28 states, speaking 32 different languages, using 10 different alphabets to live side by side. 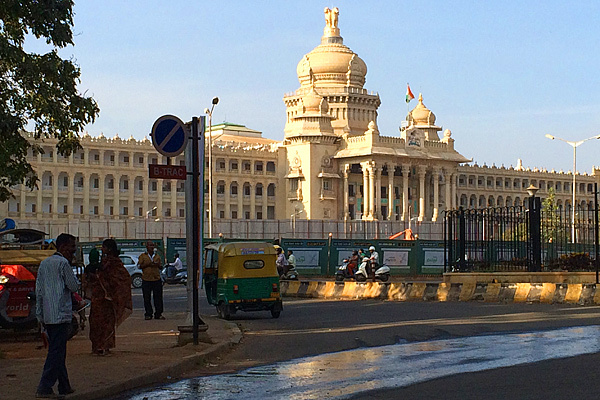 Vidhana Soudha-State Capital Buiding in Bangalore, India.